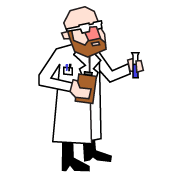 The IT Chemist is here to improve your understanding of the IT elements and technology as a whole. He also wants to hear your views, suggested improvements and additional content. Thank you. Please ask him any questions you have about Information Technology and he will try to help. You can also subscribe to the IT elementary school email newsletter and you’ll be one of the first to hear about new content as soon as it is published.